The Grammy's didn't have very many memorable moments this year. There seemed to be loads of issues with the sound, and the dreadful reality that Rihanna had to pull out of the show due to illness. It just didn't come together easily. Even though this was a slow year, it still had a couple of high points, the most memorable being Kendrick Lamar's performance. There were whispers before the show started that Kendrick was delivering a powerful performance, and that rumor was enough to get people waiting on his moment. He absolutely delivered. The performance consisted of two songs from his now Grammy Award Winning album, To Pimp a Butterfly! "Blacker the Berry" & "Alright" are fan favorites from the album, but they are heavy on the content side concerning race relations in this country. 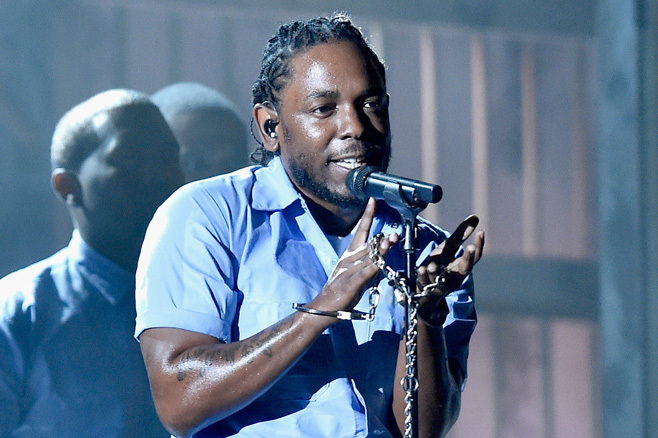 For Kendrick to deliver such a powerful performance of such potent content on the Grammy stage was inspiring. He used imagery of systematic oppression and cultural celebration to tell a story through production. The visual was strikingly engaging! If you missed the incredible performance, you can see it below!